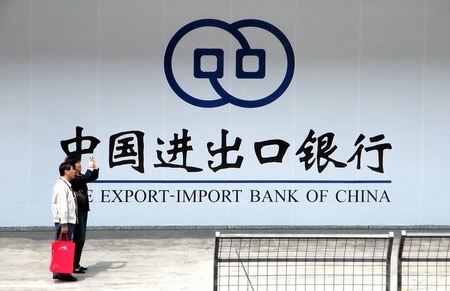 The Export-Import Bank of China (EximBank), one of the world’s leading lenders, has provided credit support to 46 transport infrastructure projects in the Association of Southeast Asian Nations (ASEAN) countries by early 2014, according to official Chinese data. With preferential loans from China, 24 highways, three railways, one port, three airports and nine bridges have been built, rebuilt or renovated in ASEAN countries, says EximBank, which plays a critical role in the growth of China’s external trade. In Cambodia where most places were not connected by railways, the bank’s lending has facilitated the country to put in place its national rail system, building railways of about 2,173 kilometers. The Second Penang Bridge in Malaysia, the longest sea-crossing bridge in Southeast Asia, and the Luang Prabang Airport in Laos have also been provided credit by the EximBank. The new Chinese leadership of President Xi Jinping has placed great emphasis on deepening economic links between China and ASEAN. The two sides are also trying to upgrade the existing China-ASEAN Free Trade Area agreement. Beijing’s increased attention to the neighborhood is in the backdrop of the much-hyped Asia Pivot by the US, a policy aimed at re-invigorating American military and economic influence in the fast-growing region. Meanwhile, the EximBank, which is also the biggest lender to Africa, will account for almost 80 per cent of a $1 trillion financing for the continent announced by the Chinese government up till 2025.